A pedestrian was struck and killed by an SUV on Wednesday afternoon in Lakewood, according to emergency officials. The incident occurred around 12:20 p.m. near 86th Street Southwest and Bridgeport Way Southwest. Police say a pedestrian was found at the scene. Life-saving efforts were unsuccessful. Further details are not available. The circumstances surrounding the crash are under investigation. The northbound lanes of Bridgeport Way SW are closed at Steilacoom Boulevard. Motorists are warned to avoid the area. 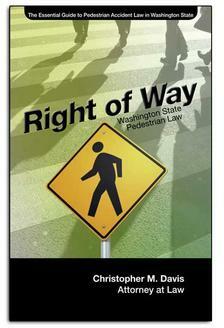 Fatal pedestrian accidents are far too common on Washington’s roadways. The number continues to grow in our state and shows no sign of slowing down. Attorneys can do their part by representing the families of the deceased in a wrongful death case against the at-fault party. Financial compensation through the civil justice system is the only way for a family to recover after an accident. Conduct an investigation. Your attorney will delve deep into the circumstances of the accident and identify all negligent parties. Research the case. A variety of different laws and regulations may apply to your particular case. Represent the family in court. It’s important that your family has a skilled and experienced lawyer should the case proceed to court. Secure compensation. Victims and their families that hire an attorney get on average 3.5-times more money than those without a lawyer. Contacting an experienced attorney should be one of the first things done after a pedestrian accident. The right attorney can turn a complex situation into something simple and easy to handle. Davis Law Group lawyers will fight for compensation while also relieving the victim’s family of the legal headache. Contact us today for a free case evaluation. Call (206) 727-4000, use the chat feature below or fill out the form on this page.